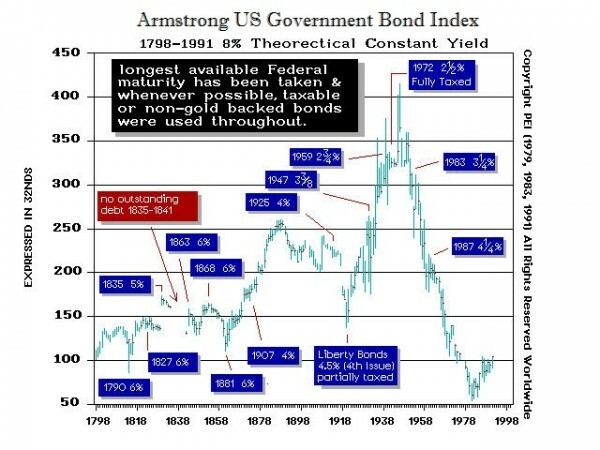 Bond Market Headed For Crash? "Germany sold 10-year debt at a negative yield on Wednesday of last week, becoming the first Eurozone nation to do so and setting a further milestone in the relentless fall of government bond yields around the world. However, there is a real crisis brewing. Bonds with negative yields, which are now about one-third of the bonds in Europe, are NOT eligible for the ECB to purchase in its program. This means that when the sentiment changes, the bonds will crash unbelievably. This is similar to the US bonds during World War II when the government ordered the central bank to support the government bonds at par. When that directive ended in 1951, the bond market crashed. This is what awaits us, for even the ECB cannot buy negative yielding bonds. Right now, the negative yield on 10-year German bonds is actually a bet against the euro as players are betting that the euro will collapse and they will end up with Deutsche marks once again."